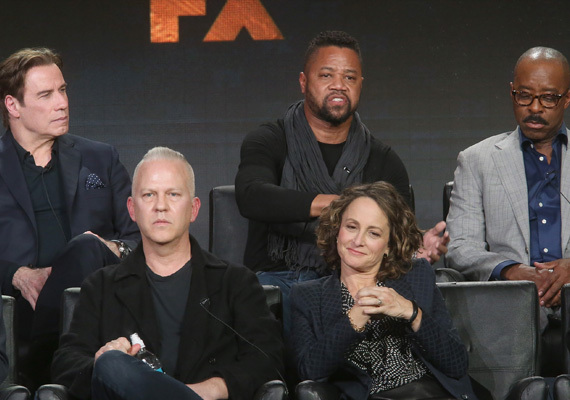 Is American Crime Story: The People v. O.J. Simpson the Most Compelling Miniseries Ever Created? Tuesday night's episode finale of American Crime Story, titled "The Verdict," did what a miniseries finale is supposed to do: It brought the audience back in time, it made the audience think, and it also made the audience cry. Like the rest of the episodes of The People v. O.J. Simpson, the American Crime Story miniseries wrapped you in as if you were a part of the events. I'll never forget the sunny Tuesday morning of October 3, 1995, in Chicago when the O.J. verdict was announced. I was working as a social worker in a very poor part of the inner city and took one of my clients out for breakfast. Both of us watched the verdict being announced on a dark square television set playing loudly at the restaurant. My client Anthony, a young African-American, jumped up and cheered. He wasn't the only one; people were dancing outside like it was the end of World War III. I was in shock. All I could think of was how our legal system screwed up. Then, I thought about Ron Goldman and Nicole Simpson's family. I was, perhaps, the only person in the neighborhood at the time who wasn't cheering. I asked Anthony why he was cheering. "You don't understand," he said, and kept repeating. He indicated that we needed to get out or I wouldn't be safe. At the time, Anthony -- a huge and muscular guy in his late 20s -- was now taking care of me. He warded off a couple of overjoyed people who were yelling racial epithets in my face. We got into a cab to go to his doctor's appointment in Lincoln Park, which was a lot less celebratory. I was young and naive then, but did come to understand that people celebrating the O.J. verdict weren't so much celebrating O.J. Simpson possibly getting away with murder; they were giving a symbolic middle finger to our legal system, which had a history of racism and repression. Johnnie Cochran brilliantly turned the trial into one about race and the American Crime Story miniseries brilliantly captures this. 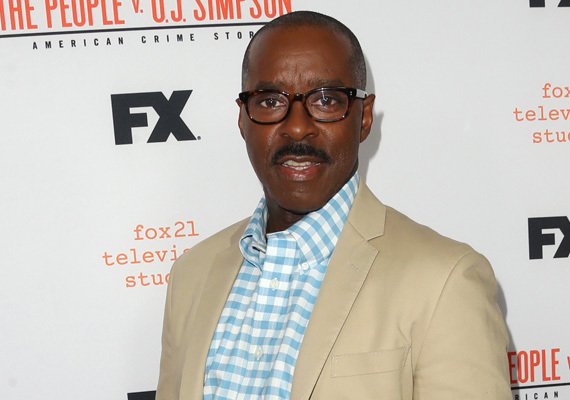 Courtney B. Vance's portrayal of Johnnie Cochran is the most brilliant and realistic out of any of the other performances that, for the most part, are top-notch. Vance's voice, expressions, and movements are perfectly executed and help viewers understand Cochran's anger. One of Vance's best scenes is in the episode "100% Not Guilty," where we see a flashback of him being pulled over with his daughters in a car back in 1982, for no other reason than driving a nice car while being Black. Cochran's facial expressions say more than his verbal anger at the police officer pulling him over. This also helps the viewers sympathize with Cochran more, even if they feel he let a killer go free. Sarah Paulson's portrayal of Marcia Clark is also spot-on. Some say that Marcia Clark's portrayal in the miniseries is glossed over. However, many of the scenes are very relevant to the misogyny that takes place today, where strong women in any field are hated simply for stepping out of the box of the patriarchal view on how women are supposed to behave. In order to degrade Clark, many in the media and general public demeaned Clark's looks, dress sense, and other choices. More than twenty years later, the double standards that strong women face have not changed and the scenes with Marcia Clark are a powerful reminder of this. Cuba Gooding Jr. proves in this miniseries that -- once again -- he is a great actor, even if he isn't completely convincing as O.J. due to other factors such as his looks and the direction he is given. Still, the fact that Gooding doesn't come off as O.J. like Paulson and Vance come across as their characters hardly matters; the story isn't so much about O.J. Simpson as it is about the politics surrounding the case. The only actor who doesn't deserve accolades is John Travolta, who plays attorney Robert Shapiro. Travolta's performance feels like a parody of Robert Shapiro and takes away some of the brilliance from the rest of the cast. It's hard to take your eyes and ears off Travolta, but that's not a good thing. It's like witnessing a train wreck. Still, after watching the final episode, "The Verdict," one can't help from being completely emotional. Those who experienced the trial firsthand once again feel the pain from how the O.J. case divided the country and spotlighted past injustices that lead to an unjust verdict. Those who weren't around in 1995 are reminded on how our country is still divided and how that division could lead to another collapse in our legal system if things aren't remedied. American Crime Story: The People v. O.J. Simpson isn't just a television series; it is a riveting crystal ball that shows our country's past and how it affects the present. Looking into the crystal ball isn't always delightful, but at least it's real.